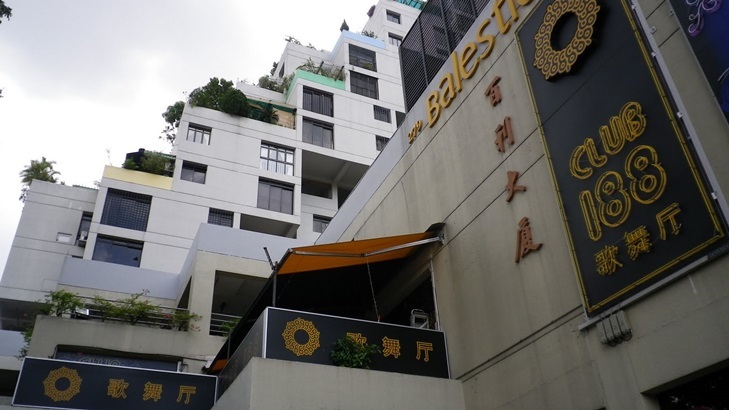 Balestier Point (pictured), a mixed-use freehold development, may be put up for collective sale for approximately $250 million to $350 million, or around $1,337 to $1,872 per sq ft per plot ratio (psf ppr), reported The Straits Times. The property’s owners appointed an eight-member collective sale committee in October 2015 and ERA Realty as the marketing agent in January this year. However, they have yet to set the date for an extraordinary general meeting to obtain the owners’ approval. Completed in 1986, the 62,315 sq ft property comprises an 18-storey residential block and a two-storey retail podium with basement. The site is zoned commercial and residential under the 2014 Master Plan, with a building height limit of 30 to 36 storeys and a plot ratio of 3.0. Owners may be motivated to sell considering the above-market premium for the said property. Last month, a 1,119 sq ft apartment located on the ninth floor was sold for around $1 million or $900 psf. They are also banking on the fact that the Balestier area has been undergoing rejuvenation, with the completion of the integrated hotel-park complex comprising Zhongsan Park, Zhongsan Mall and the Days and Ramada hotels in 2014. “It is within the Novena medical hub area and we are exploring the possibility of applying for change of use, subject to approval by the authorities,” said ERA Realty agent Stanley Koo. Property consultancy CBRE noted that the most recent collective sale within the area was Skysuites 17, formerly Diamond Tower, for around $49.6 million or $582 psf ppr in April 2010. “Due to the cutback on residential land offered through the Government Land Sales programme, developers may want to look at collective sales as an alternative source of land. At the end of the day, the most important thing is to bridge sellers’ and buyers’ expectations,” said Desmond Sim, Head, CBRE Research, Singapore and South East Asia. Shunfu Ville has been re-launched for collective sale at the same reserve price of $688 million, or $791 psf ppr, said marketing agent JLL. This is the second time that the 358-unit residential development built in the 1980s has gone en bloc after more than 80 percent of the owners agreed to the sale. The first attempt at a collective sale in September 2015 attracted expressions of interest from two developers, but PropertyGuru understands that the offers were rejected for being too low. Situated in the Bishan/Thomson area, the 408,927 sq ft site is zoned residential under the 2014 Master Plan and could yield over 1,100 units with an average size of 1,000 sq ft.
Yong Choon Fah, National Director of Capital Markets at JLL, noted that while the residential market continues to be bogged down by the property cooling measures, some positive signs are now emerging. With this, she reckons that developers will continue to press on with replenishing their land banks. Moreover, there has been no Government Land Sales (GLS) site released for sale in the area since the Lorong Puntong land parcel (Thomson Impressions) was awarded to a Chinese developer in October 2014. The Shunfu Ville site is also close to established schools, shopping malls and two MRT lines. At $688 million, the estimated breakeven cost for the successful buyer stands at around $1,250 psf, with the new units expected to fetch between $1,400 psf and $1,450 psf, said JLL. The tender for Shunfu Ville will close on 10 March 2016.